Founded and run by former Cirque twins Elsie Smith and Serenity Smith Forchion, the New England Center for Circus Arts (NECCA) runs community and professional training out of two studio spaces in Brattleboro, Vermont. 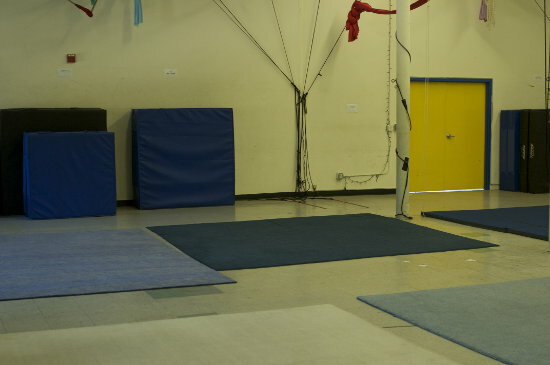 Open training is available in their main space, but you need to either have an induction / private lesson to prove you're at a level to train safely, or else have some solid professional credentials. Hours are variable, and usually add up to 20 or more per week; there are a couple single points free for rigging, but otherwise you can use the school's own equipment. There's also a supervised open training session for amateurs and the un-inducted.